One of the most important topics that we often don’t consider is investing in our everyday learning. 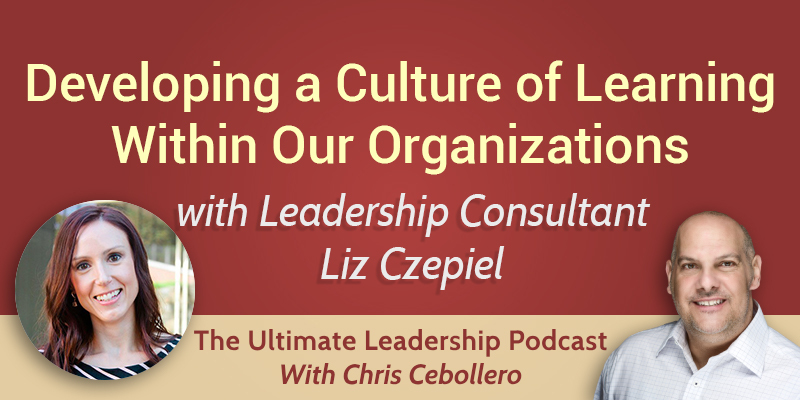 My guest today, leadership consultant Liz Czepiel, is the perfect person to guide us when it comes to this vital component of every organization. People are an organization’s most valuable asset. How can we get the most out of them? We have to figure out what drives and motivates them. When we step into leadership roles, part of our responsibility is to develop our teams. A big component of that is helping our teams learn about themselves and the business. Learning within an organization correlates with innovation. We need to challenge our employees to think bigger and broader, to be better than the competition. When organizations take the easy approach, they invest in the wrong solutions. They should be factoring in what will support organizational goals. When it comes to learning, we want it to be extremely practical to our employees. When organizations think about their learning approach holistically, it’s a complete game changer. It’s important to expand learning opportunities behind the classroom. Most people learn by doing. Some of the most powerful learning experiences involve practical applications of learning principles. You also need to be very specific about the people that you are bringing on board. Make sure to bring people who want to innovate. An organization shouldn’t look to invest in the biggest e-learning system to just check the box for their employees. You need to be really specific and strategic. More isn’t always better. Learning and development shouldn’t stop once you’re a director. One of the most beneficial that organizations can do is to continuously invest in their leadership. You need to be super clear on what your expectations are when it comes to learning. Think about how you are going to incorporate them into things like your performance reviews.